Ivy Bohnlein Gerbis is a Sun Devil at heart, earning both her BA in Anthropology and her PhD in Educational Leadership and Policy Studies at Arizona State University. Her advising experience includes work with multiple schools on the ASU campus, including business, engineering, design, and communications and journalism. She joined the School of Sustainability after 4 years as the Assistant Director of the University Honors Program at the University of Wisconsin-Eau Claire. 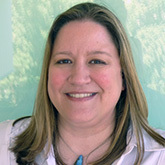 As Assistant Director, Graduate Academic Services for the School of Sustainability, her goals are to assist in the development and implementation of the school's graduate recruitment plan and work closely with prospective students to match them to the graduate program that best matches their personal, professional, and academic goals. Adams, M., I. B. Gerbis, J. D. Goss, K. Koh, L. Laufe and R. Shine. 2014. Applying for major scholarships 1: What are they looking for?. Presentation at the National Collegiate National Conference, 7 November 2014, Denver, CO.
Diehl, R., R. Diehl, I. B. Gerbis, I. B. Gerbis, J. D. Goss, J. D. Goss, K. Koh, K. Koh, R. Shine and R. Shine. 2014. Applying for major scholarships 2: What exactly is involved?. Presentation at the National Collegiate Honors Council National Conference, 7 November 2014, Denver, CO.
Bohnlein, I., D. Jones and J. Vahlbusch. 2012. Teaching each other: Fourth-year honors students as mentors in first-year courses. Presentation at the National Collegiate Honors Council National Conference, 17 November 2012, Boston, MA. Bohnlein, I. 2010. Honoring our promise: Honors college practice and the student experience. Presentation at the National Collegiate Honors Council National Conference, 23 October 2010, Kansas City, MO. Bohnlein, I. 2009. Beyond the research paper: Student perspectives on supplemental projects for honors credits. Presentation at the National Collegiate Honors Council National Conference, 31 October 2009, Washington, DC.